In the Passport to Adventure series by Thomas Kinkade Studios Disney’s Mickey, and Minnie, along with some of their closest friends, explore famous travel destinations around the world. 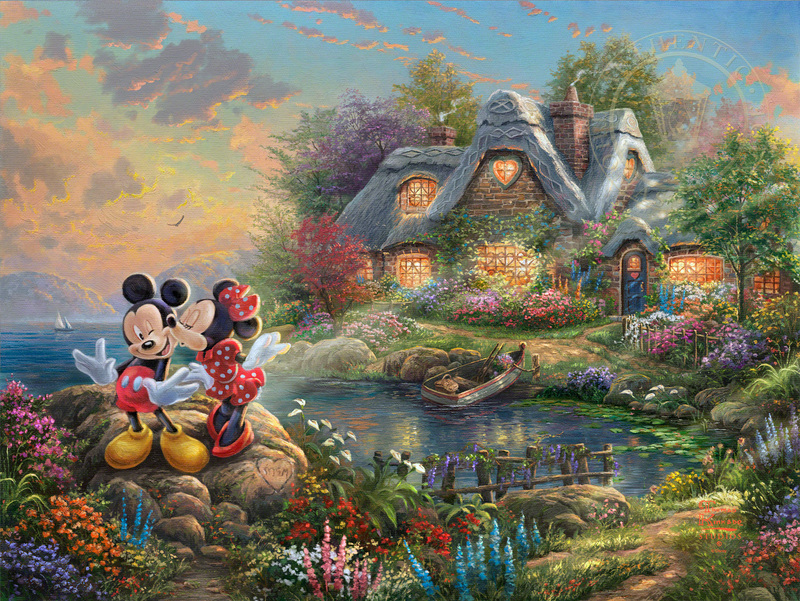 In the Passport to Adventure series by Thomas Kinkade Studios, Mickey, and Minnie, along with some of their closest friends, explore famous travel destinations around the world. The sun has set on this iconic duo and a crescent moon can be seen rising in the night sky. The campfire flames are almost dancing in the cool breeze as this sixth and final piece closes out the Sweetheart Series. In the Passport to Adventures series by Thomas Kinkade Studios, Mickey, and Minnie, along with some of their closest friends, explore famous travel destinations around the world. Mickey and friends find themselves on an adventure in arguably the most romantic city in the world, Paris! As Mickey hands Minnie a beautiful bouquet of flowers, a thankful Minnie throws her arms around Mickey’s neck, thanking him for such a wonderful day in New York City. Minnie knows that a day full of shopping on Rodeo Drive isn’t complete without the perfect ensemble.